OLYMPIA FIELDS, IL – The founder and Chairman of Francorp Inc., Don Bororian, will conduct a workshop with the theme of “How to Franchise Your Coffee Shop New” at this year’s Coffee Fest in Portland, OR being held at the Oregon Convention Center on October 17-19. Bororian’s session will take place on the final day of the event and will cover the steps and strategies necessary for business owners to take their companies to the next level of expansion and franchise their concept. With more than 50 years of experience in franchising, corporate management, direct sales, and business administration, Don Boroian is in one of the Nation’s most sought after consultants in the field of business expansion. 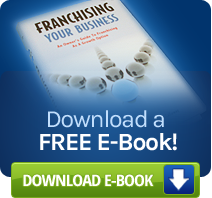 He and his company, Francorp, have provided franchise consulting services for more than 10,000 organizations including some of the country’s best known franchisors: McDonald’s, KFC, Hallmark, and many many more. Boroian has authored three books that are regarded as some the most authoritative works written on franchise development.